High school is a time when the loose opinions of childhood begin to solidify. It's a time when many Christian teens begin to stand on their own faith legs and develop a worldview that is autonomous to that of their parents. Contrary to the popular trend of extended immaturity, the teen years can be a time when God can use a person in ways that He can not use them at any other time in their lives. Teens have free schedules, growing passions, and liberal amounts of physical energy. When aimed in the right direction, a teen can do great things for the cause of Christ. In only a few short weeks, my daughter will launch headlong into those crucial high school years. Admittedly, I'm no mathematical genius, but I've crunched the numbers. Four years of higher learning only leaves me with 1460 days to teach her all-the-things. Learning is for life. You can still teach her after she graduates high school. Eighteen does not have to be the default cut-off of parental influence. While all of that is true, I think you and I can both agree that my influence will and should look different once she leaves my home. I'll not be able to pour into her in the same way that I can right here-right now. So I've got four years left, and I plan to use them well. 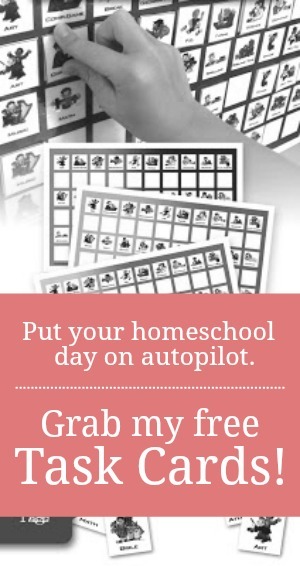 Since I choose to homeschool, I've got a leg-up on the societal influence. I get to choose what and how she learns. While I'd never want to play the part of the Holy Spirit in her life, I do think that it is my job as her mother to help train her up "in the discipline and instruction of the Lord." (Ephesians 6:4) One way I can disciple her towards spiritual maturity is through quality reading material. I've curated a list of 40 books that will challenge and encourage both her faith and her character in the next four years. Since she will be using a literature rich language arts program, I've not included any fiction books, but instead have focused my efforts on books about Christian heroes, books centered around faith building, books about Christian living, and books that teach practical life skills. 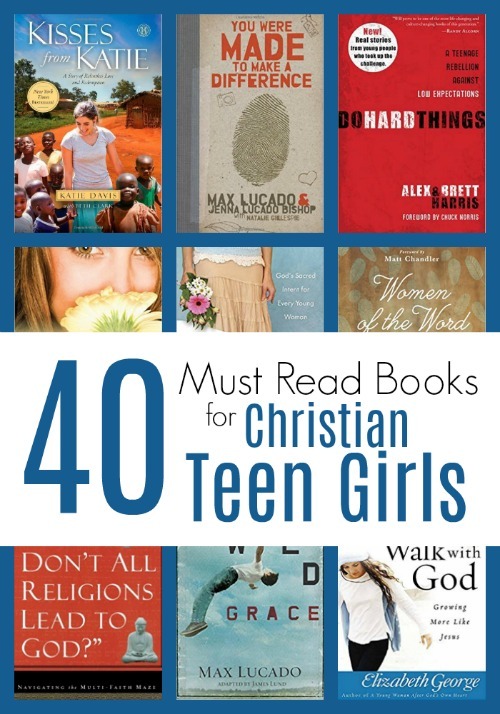 While some of these titles are applicable to both teen boys and teen girls, many have been specifically selected because of their predominately feminine message. I do not expect my daughter to read through this list in its entirety. Rather, I'm laying out a buffet for her. I've added them all to my GoodReads highschool and older girls shelves. Each month, I'll expect her to peruse those two shelves and choose one title for her "mom-assigned book." This plan worked quite well during her middle school years when I put together a similar list for her monthly reading plan. I'm hoping that each book on this high school list will inspire lots of discussion and contemplation between the two of us. I've not read every title that I've included, but have vetted them through friends and trusted book lists. Thank you. This is a thought-provoking list! You're welcome. I'm always open for more suggestions if you've got any to share! I would add Stepping Heavenward by Elisabeth Prentiss to this list. Definitely a must read for teen girls. I've not heard of that one, Hilary, but will definitely look into it. Thanks for the suggestion! Thank you so much for this list! My daughter is 11.5 and I see those teen years barreling down on us and must admit it's daunting. Thank you for these recommendations! It is daunting. But God is bigger than all of our fears, Alison. He has big plans for our girls. We just have to point them to Him.